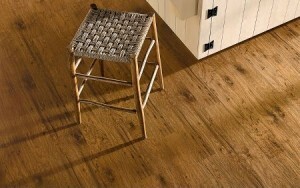 This method is used for hardwood floors that have superficial scratches, and wears and tears. Some floors only need to be buffed out and recoated to renew its surface. Scheduling – If your hardwood floors have minor scratches and surface wears, schedule a free estimate with us. Free in home consultation is included. Assessment – We’ll take a look at your floors with you and explain the options you have. Usually you will have a small area that needs a buff and a new coat. However, plan to have the working area and the existing flooring around it to be buffed and refinished. Preparing – We ask that you remove all items and objects away from the working area. Buffing – This process will remove the scratches and scuffs off of the exterior of the floors. Coating – Depending on the floors, we will apply one or two coats to your wood floors to renew the surface wear layer that protects your wood flooring. Have your Hardwood Flooring Screening and Buffing by Portland Flooring & Carpet of Tigard. (503) 388-6070 Reasonable Prices. Free Estimates. Guaranteed Work.